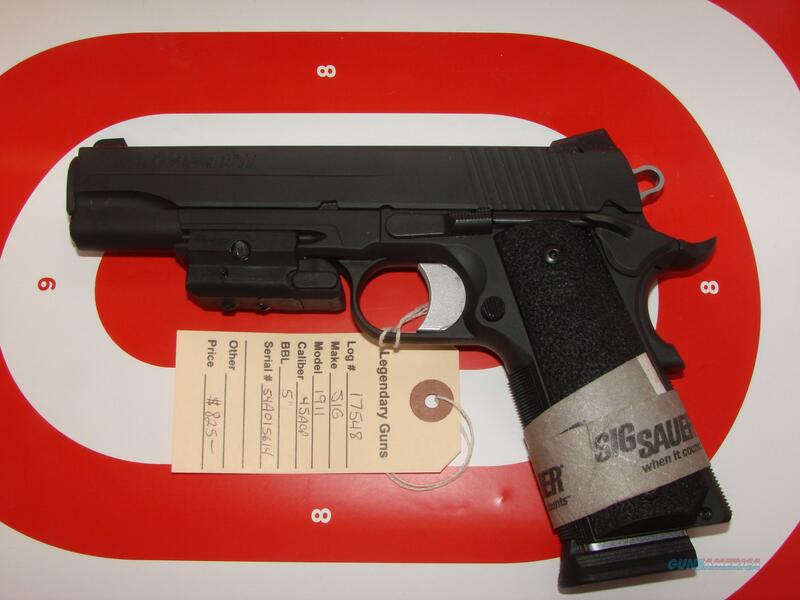 Description: Sig 1911XO with Rail, in 45ACP, 5" match grade barrel,low profile 3 dot sights. Comes with sig laser. Gun is new,never fired, has been on display and may show some handling wear.